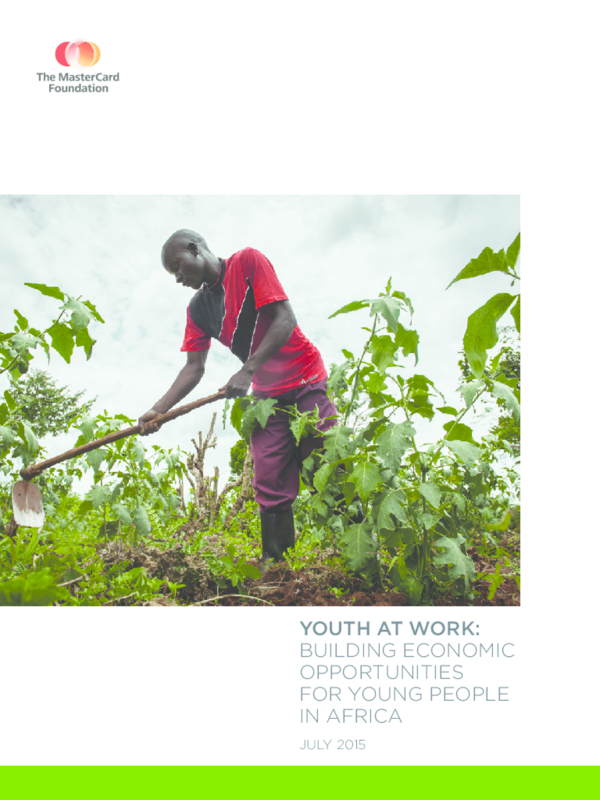 Released in July of 2015, this report examines the challenges of youth unemployment, particularly in Sub-Saharan Africa where some 600 million people are currently under the age of 25 and explores lessons learned from The MasterCard Foundation's portfolio of skills training programs. The report highlights the challenges that young people face in accessing quality and reliable economic opportunities. It documents the Foundation's work in developing holistic programs that provide not only formal skills training, but develop the foundational skills needed to navigate changing economic landscapes. The report also highlights that, in the absence of formal jobs, youth and young people will have to pursue a mixed livelihoods approach to income generation. Finally, the report discusses the scale of work needed in this field, and discusses trade-offs between running effective programs and the need to reach larger numbers of young people. Copyright 2015 The MasterCard Foundation.